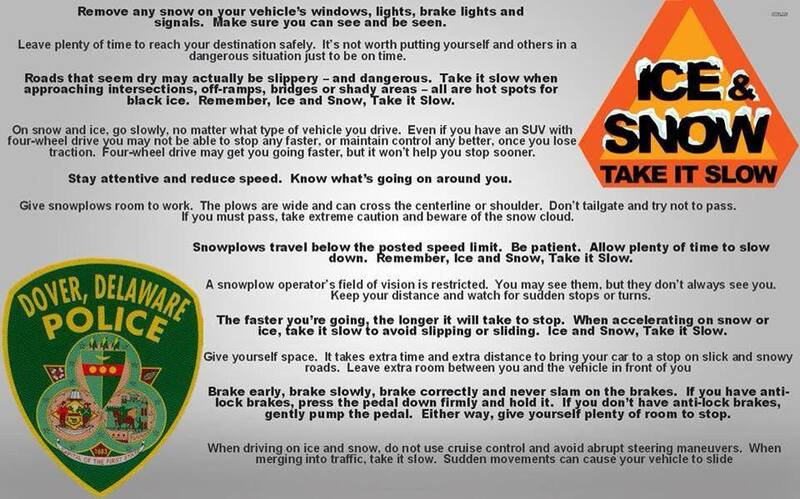 While there is still uncertainty regarding the amounts of snow, sleet and freezing rain that will occur late Sunday night and Monday, there is little doubt that a winter storm is on the way. A Winter Storm Watch will be in effect from late Sunday night through Monday evening in Kent and Sussex Counties. Expect snow, sleet and freezing rain changing to all snow Monday morning. Snow accumulation of 6-10 inches, along with around a trace to possible one-tenth inch of glaze. Mixed wintery precipitation will develop late Sunday night after a mild Sunday afternoon. Temps falling into the upper 20s by Monday morning will result in slippery travel. Winds north 10-20 MPH with gusts up to 25 MPH. People seeking shelter should dial 211 from any phone. An Intake Housing Specialist will be available to assist between the hours of M-F; 8-5. After hours calls to 211 will be directed to shelters with openings. 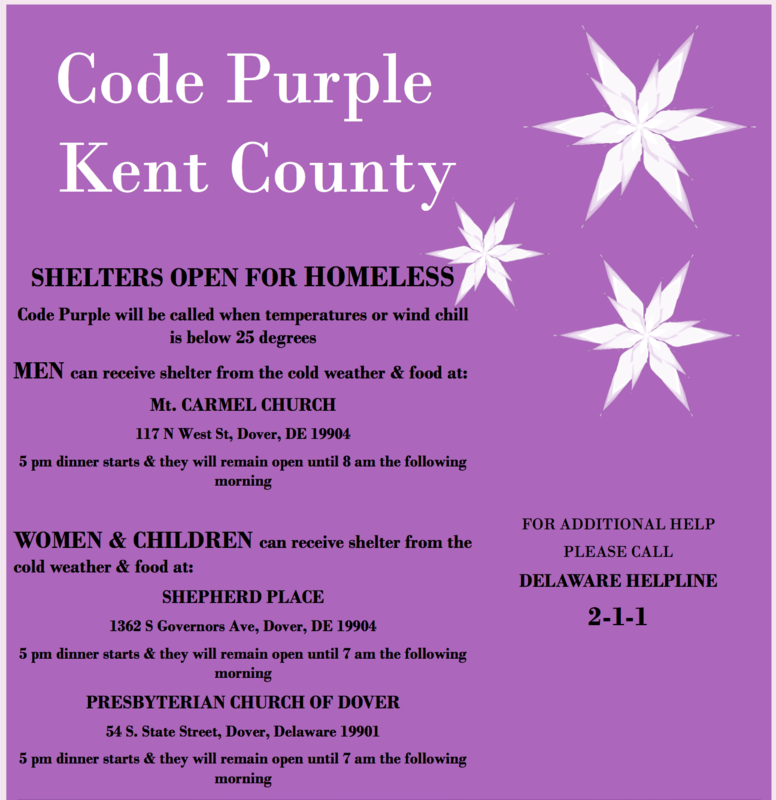 Additional Code Purple shelter information is on the below image.